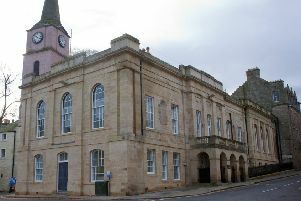 has been jailed for four months at Jedburgh Sheriff Court. Robert Reilly, 46, of Wilson Drive, pleaded guilty to the offence which happened on the B6360 between the Tweedbank roundabout and the A7 at Tweedbridge on Sunday, October 4. Reilly also admitted having no insurance. In addition to the prison sentence, he was disqualified from driving for three years and four months.